On June 7, 2018, at the SINET Innovation Summit in New York, CipherTrace CEO Dave Jevans sat down with crypto asset experts and thought leaders for a discussion of the current and future state of cryptocurrencies. Topics ranged from fostering virtual currencies as mainstream investments to a new breed of crypto criminals to how smart contracts can help to improve regulation and speed innovation. Among the participants was Valerie Szczepanik, who the SEC very recently promoted to a newly created position: “Senior Adviser for Digital Assets and Innovation.” Her promotion from an enforcement role to a policy-level job overseeing virtual currencies testifies to how seriously the government is taking crypto assets and issues such as Initial Coin Offerings (ICOs)—i.e., raising investment capital by selling digital tokens. This distinction quickly earned Szczepanik the moniker ‘Crypto Czar’. The two other distinguished panelists were Ivan Novikov, Chief Executive Officer of Wallarm, and Jim Schneider, the senior research analyst covering the FinTech sector at Goldman Sachs. Goldman Sach’s Schneider kicked off the panel by discussing the impact of cryptocurrencies on the investment market. He said that cryptocurrencies are becoming a recognized asset class among hedge funds and traditional investment firms alike. Nonetheless, the current cryptocurrencyA cryptocurrency (or crypto currency) is a digital asset des... More ecosystem is still quite “brittle,” meaning immature with regard to settlement, clearance and issuance infrastructure. And the ecosystem needs to mature before the large financial institutions come into the market with high-volume investments. Later that week, South Korea’s Coinrail theft demonstrated the brittleness by wiping out $48B or 14% of the crypto asset market capitalization overnight. Wallarm’s Novikov raised several points regarding how trust and safety in the virtual currency ecosystem impact investor safety, and, ultimately, adoption of cryptocurrencies as mainstream investment vehicles. He said this begins at the individual level. Investors need to assume personal responsibility for their private keys, and also make sure their devices and wallets are secure—and not to mention the need for proper back-up. Investors also need to have trust in the security of the exchanges, explained Schneider. With the huge monetary value often associated with virtual currency transactions and holdings, cryptocurrency exchanges need to have a high-security posture that is on a par with established financial institutions and investment firms such as stock brokerages to ensure investor funds are not stolen. He also cited the need for trust in the respective cryptocurrency platforms. The coins themselves also need to be well-engineered and the ecosystem must be trustworthy. Primarily this means ensuring that they are secure by design, have an active ecosystem and well-reviewed source code. Ninety-nine percent of programmers in the real world are not cryptography experts, and it is dangerous for them to cook up their own cryptographic protocols, is how another thought leader—Elaine Shi, Co-Director of the Initiative for CryptoCurrencies and Contracts, IC3, and Cornell University Professor—recently summed up a huge potential vulnerability of many emerging cryptocurrencies. Szczepanik discussed how a new SEC is open to facilitating innovation and eager to help crypto companies comply with emerging regulations. This includes having technologists confer with regulatory attorneys from the outset, which can help to improve regulation while also protecting investors from fraud or other threats like cyber attacks. She said crypto entrepreneurs are welcome to come in and discuss ways to launch ICOs and other crypto offerings that will be off-the-shelf compliant. For example, once they get their whitepaper ready, entrepreneurs can look at things like how to hard-wire rules right into the ICO, smart contract, or distributed ledger technology. Essentially, having guidance in advance and approval from regulators could also help entrepreneurs differentiate their coin offerings as legitimate, compliant and trustworthy. For example, you could hard-wire rules into the software that automatically validate investors are accredited and have the legal ability to participate in the ICO legally. The panel’s moderator and CipherTrace CEO, Dave Jevans, provided an overview of the current state of global cryptocurrency crime. In addition to his role at CipherTrace, Jevans is the Chairman of the Anti-Phishing Working Group (apwg.org), hosts Electronic Crime conferences around the world, and operates the e-Crime Exchange. This experience gives him unparalleled insights into the criminal aspect of virtual currencies. He cited the current high-risk environment where cyberthieves made off with over $1.2 billion in cryptocurrencies between 2017 and 2018. 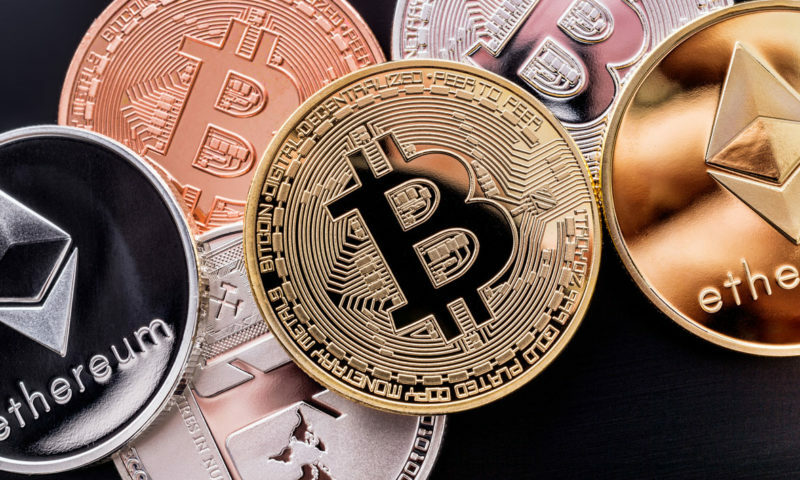 What’s more important, especially for CISOs and others charged with preventing these thefts, is an exponential increase in the sophistication of the cybercriminals now targeting crypto assets. And then comes greed: the huge dollar figures associated with crypto assets coupled with the brittleness and technical immaturity of the ecosystem is essentially tempting Ph.D. students to turn to a life of eCrime.